Treadwell’s P-Series® Phenolic fibreglass or FRP grating is the ultimate choice for applications where fire risk is prevalent and when smoke cannot be allowed to develop. Treadwell, through the employment of only the most advanced production equipment and the use of the highest quality raw materials, has developed this unique range of leading offshore composite grating products. EX-Series® Phenolic Grating, which boasts US Coast Guard approval, is acceptable for use in areas and applications as outlined in the US Coast Guard Safety Manual Vol III. 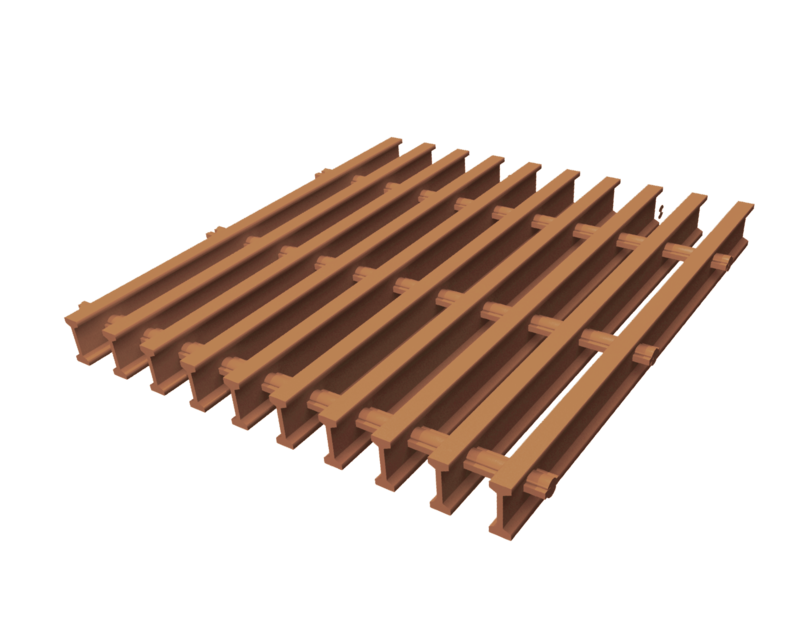 EX-Series® Phenolic Grating can span up to 70% more than that of equivalent size standard steel grating. Furthermore, P-Series® will not yield and so will return to its original shape if design loads are exceeded. 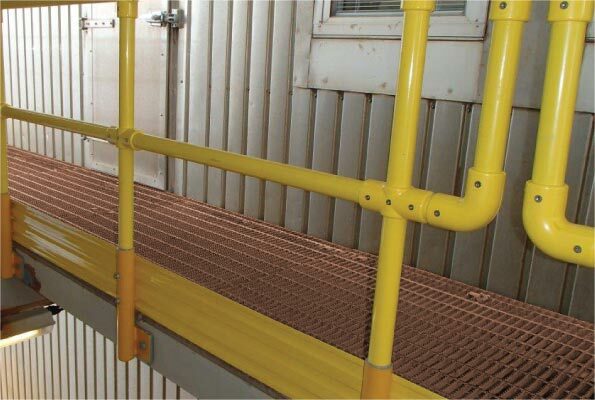 Phenolic Grating is only 65% of the weight of steel bar grating and often, can be manually installed with ease. 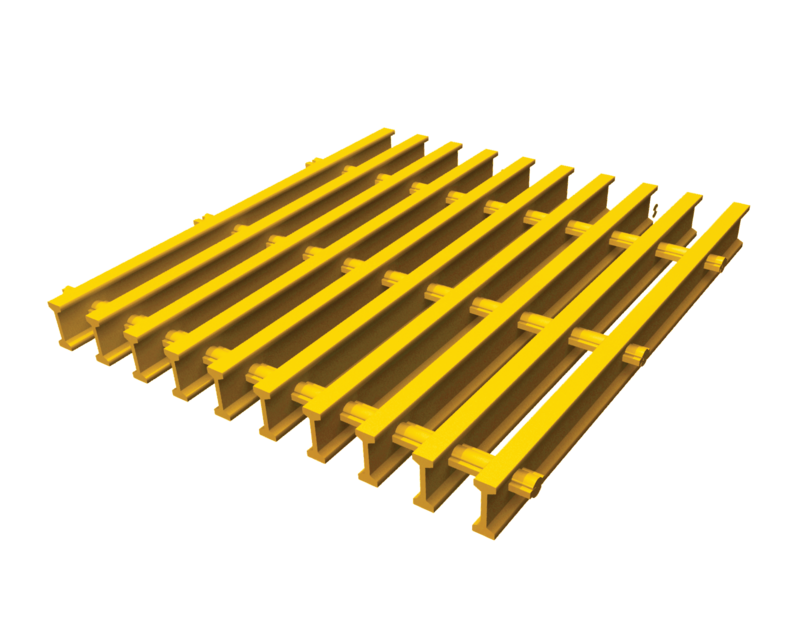 This system unique to EX-Series® Grating Systems means that load bars are broader than those of metal grating and are hence far less fatiguing than conventional steel bar grating and not dangerously sharp like serrated surface grating. EX-Series® Phenolic Grating systems, which are laminated by an outer layer of Phenolic resin, provide ultimate fire resistance, ensuring that maximum strength is maintained.